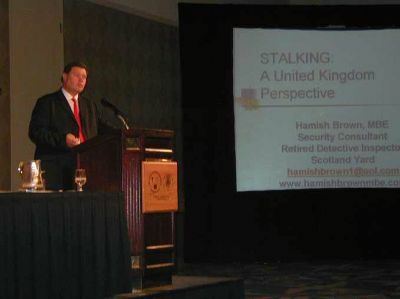 Hamish Brown lectures regularly both in Britain and overseas on the interpretation of the UK stalking legislation and his experiences of investigating and advising on harassment cases. Hamish presents talks at national and international conferences and seminars. - The Hollywood entertainment industry, FBI and US Congress at the Beverly Hills Hotel. - International Stalking Symposium, Kassel, Germany for Judges, lawyers, politicians, senior police officers. Advising on the UK perspective. 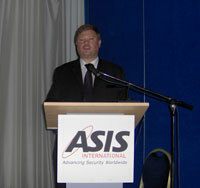 - ASIS European Security Meeting, Nice, south of France. - International security conference, Berlin, involving senior representatives from 37 countries, the United Nations and European Commission. - European Threat Assessment professionals meeting, Brussels, Belgium. - Russian police offices attending a course on domestic violence at the Metropolitan Police Crime Academy. 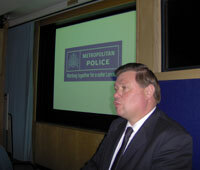 - Seminars on domestic violence and child bullying at New Scotland Yard, London. 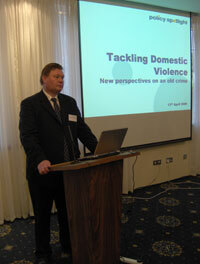 - Hampshire Constabulary Domestic Violence Murder Prevention Seminar. - The Scottish Women's Aid conference on domestic abuse, Glasgow. - The International Association of Women Police conference, Leeds. - Addressed Anti Social Behaviour Forums held by Westminster City Council and the Metroplitan Police at New Scotland Yard. - Scottish Police Conference on stalking, police training school, Edinburgh. - The National Police Training college, Bramshill, England. - National Missing Persons Helpline Annual Conference. - Suzy Lamplugh Trust, Violence in the Workplace Conference. - Victim Support (Surrey) awareness day, Surrey Police Headquarters. - Training seminars for magistrates, barristers and Crown Prosecution Service staff. - Universities and other educational establishments. - National Health Service, Mental Health Trusts. If you need an informative and entertaining speaker to give your audience something new, Hamish should be your choice. Pleasecontact him for further information and bookings.